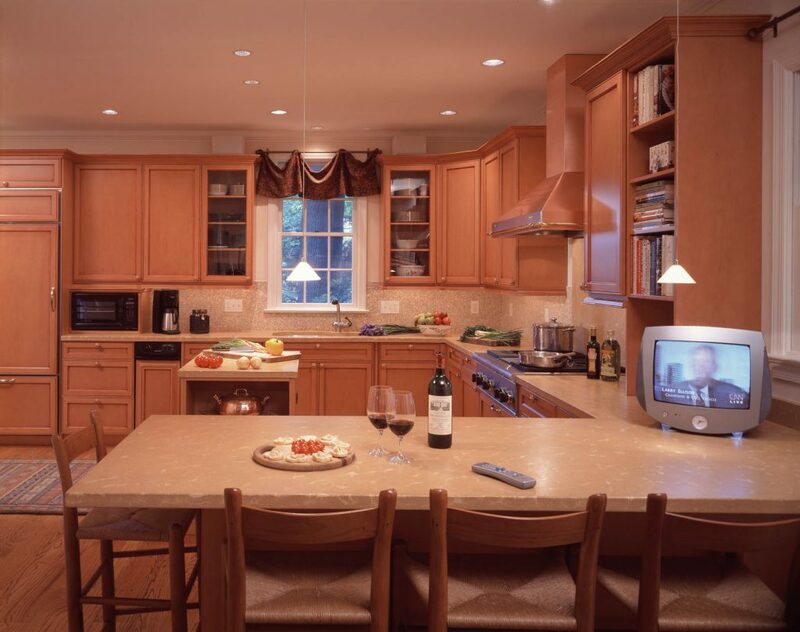 A couple of food and wine aficionados ordered a welcoming kitchen for friends and family—with enough room to properly store their fine selection of vintages. Warm cabinetry and a glowing copper range hood warm up the space, while a concrete counter wraps into a generous table for entertaining. 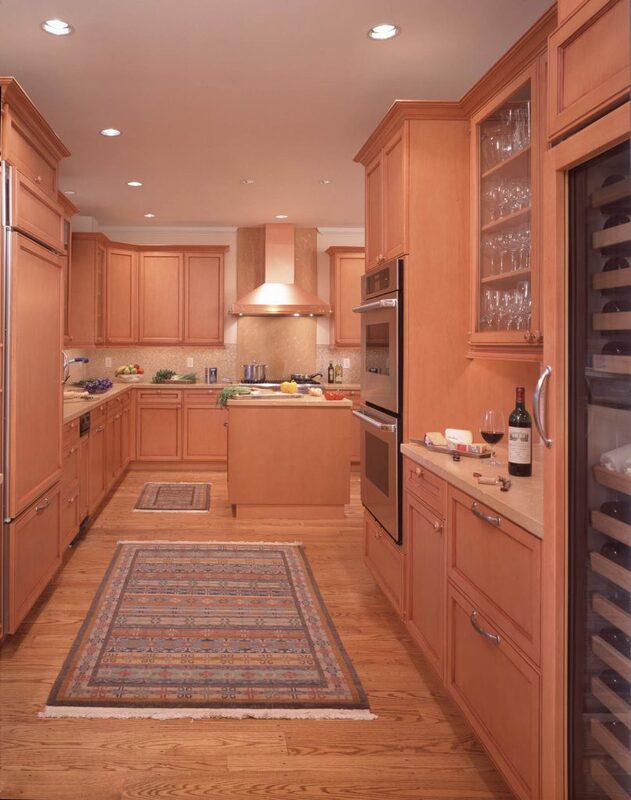 A full-height wine fridge showcases a selection of bottles—all at the perfect temperature. Refrigerator-freezer drawers below the bar keep ice and other essentials within easy reach. Classic cabinetry is warmed with a chianti stain, of course, while luxurious details, such as a tumbled marble backsplash in creamy yellow tones, abound.